Jason E. Zakai is an accomplished attorney with extensive experience in commercial litigation. As a senior associate at Hiller, PC, Jason represents individuals, businesses, and non-profit organizations in state and federal court on a wide range of matters, including complex commercial disputes, land use and landmarks law litigation (including Article 78 proceedings), employment law, and tort claims. Recently, Jason worked on a successful order to show cause for a temporary restraining order and preliminary injunction, which prevented a real estate developer from commencing construction and demolition work on landmarked buildings in an historic district pending litigation. Prior to joining Hiller, PC, Jason worked for several years as a litigation associate at Hughes Hubbard & Reed, an AmLaw 100 firm in New York, where he gained invaluable experience working on large, complex commercial cases, including in the areas of securities litigation, white collar crime, bankruptcy, and products liability. He represented financial institutions, large corporations and individuals in a variety of high-profile civil and criminal cases in federal and state courts, including appellate courts, as well as in governmental investigations. Notably, Jason worked on a successful motion to subordinate multi-million dollar indemnification claims in bankruptcy court, including successful appeals in federal district court and the Second Circuit Court of Appeals. Jason has also had an active pro bono practice, representing clients in matters such as civil rights, criminal defense, and social security disability claims in state and federal courts and in administrative proceedings. Notably, Jason worked on two successful trial teams for pro bono clients, including a civil rights excessive force case in federal court, as well as a criminal defense case on felony charges in state court. 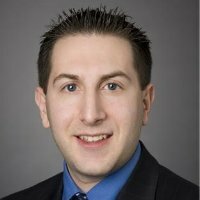 While in law school, Jason served as a legal intern in various public offices, including for the United States Attorney’s Office for the Southern District of New York, Criminal Division; for United States District Judge William H. Pauley, III in the Southern District of New York; and for New York City Councilman Alan J. Gerson. He also participated in Brooklyn Law School’s Criminal Appeals Clinic, in which he successfully argued an appeal on behalf of the NY District Attorney’s Office. Prior to law school, he served as an intern in the District Office of United States Congresswoman Nydia Velazquez in New York.